Former PM says Israel should consider methods that will be less violent and damaging in dealing with riots along Gaza border. Former Prime Minister Ehud Olmert on Wednesday said Israel should consider methods other than lethal force to quell the violent riots along the Gaza border. 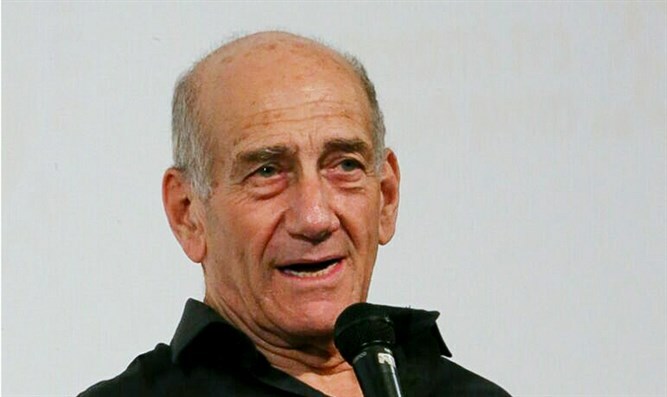 "In this context, I think that we have to consider other options of operations which will be less violent and damaging," Olmert told German broadcaster Deutsche Welle in an interview. "I mean, it's not a thousand kids only, there were tens of thousands of people and they were, indeed, there were many casualties and there were 62 people killed. And I am terribly sorry and sad about it,” he continued. “Is it necessary to use the guns the way they were used, snipers the way they were used? (...) I have questions, I have doubts, yes," said Olmert. "Gaza is first and foremost a victim of a terrorist organization Hamas. Just as Lebanon is a victim in other ways by a terrorist organization Hezbollah," Olmert told DW. "Israel can't afford to have all these thousands of people penetrating into the part of Israel," he stressed, but also implied that Israel should change its mode of operation. "I think that we have to change the relations with Gaza in as much as it doesn't jeopardize the security of the state of Israel," opined Olmert. Olmert was Prime Minister during the counterterrorism Operation Cast Lead in late 2008 and early 2009. Asked by the host, "How do you live with this huge loss of life that is that is caused by your orders?" Olmert replied, "No. It was caused by the fact that my people, my citizens, (…) innocent children in Israel were attacked…When my children are not attacked by rockets coming from that side, they sleep better, yes. And they have to sleep better and that's my responsibility." The interview with Olmert also dealt with the Iran nuclear deal, to which Prime Minister Binyamin Netanyahu is strongly opposed. Olmert defended Netanyahu’s stance on the deal, saying, "Israel whether they have nuclear weapons or not, (...) never threatened to use it against anyone. Iran openly and publicly throughout all these years including from 2006 and earlier to this day threatened to wipe out Israel from the map." "We never wanted to wipe out any country from the map. And Iran repeatedly and continuously for many years is doing precisely this," reiterated Olmert when the host said that being a nuclear power has responsibilities and asked who Israel is to maintain a "strategic ambiguity." He refused to confirm or deny Israel’s nuclear capabilities, saying, "There were so many nonsense stories that were spread about Israel and about Israel’s capabilities and what we have and we don't have..."